We live in a society in which, because of improved health care, we are all living longer than was the case in previous generations. As a result, the UK, like other developed countries, is witnessing a rapidly growing older population. With this growth in the numbers of elderly people comes an increase in the incidence and spread of age-related health issues, and prominent amongst these concerns is a growth in the number of people with mobility problems. While sheltered accommodation or residential care is the answer for some elderly people with health or mobility concerns, the vast majority of older people wish to remain independent and continue living in their own homes for as long as possible. Fortunately there are a number of aids and adaptations available which are designed to allow people with mobility problems to continue living in their own home. 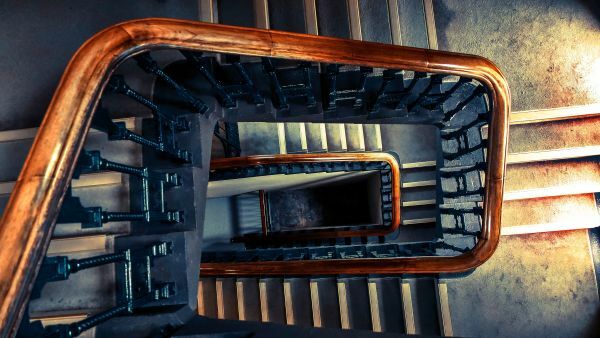 More than seventy per cent of Britain’s population live in homes with more than one floor so, for a significant number of older people, the question of how they will cope with getting up and down stairs is a very pertinent one. This comprehensive guide will consider when and how a stair lift can be the answer. How big is the Stair Lift Market? Britain has an aging population. The nation currently has twenty-five times more people aged over eighty-five than there were in 1901. Nearly seventeen per cent of our population is aged sixty-five or over and very soon the total figure for older people is expected to eclipse that of the number of children. Some three million people in Britain are aged over eighty and this figure is set to rise to almost six million by 2030. Across the board the average age of the UK population is moving upwards. This is a pan-European demographic trend: the baby-boom children of the 1950s and 1960s are now approaching retirement age. To put this demographic trend into some kind of context: a baby boy born in 1981 could reasonably expect to live to the age of eighty-one, but one born today is likely to live until he is eighty-nine. For females the trend is just as dramatic: a baby girl born in 1981 will on average live up to the age of eighty-nine and one born today is likely to survive up to the age of ninety-two. By 2030 the life expectancy figures for boys and girls born in that year are likely to be ninety-one and ninety-five respectively. Better health care together with more effective education about healthy lifestyles is the primary driver of this increase in longevity. As a society we are more affluent and better informed than previous generations. Other contributory factors include better workplace safety and an increased awareness of the importance of not smoking, being careful about our diet, taking regular exercise and drinking only in moderation. These trends have all contributed to the continuing growth of our older population. Looking to the future, the fact that we all expect to live longer together with our wish to remain active and independent to a more advanced age has profound social and economic implications for our society. A key part of older people’s desire to remain independent is an expectation they will remain in their own home. Given the fact that the process of aging can result in some loss of physical capacity for many people, it will frequently be the case that adaptations have to be made to an older person’s home if he or she is to remain mobile and independent. In a significant number of cases this could involve the installation of a stair lift. Moving forward, the potential market for stair lifts is huge. According to the English Housing Survey report for 2012-13 only thirty per cent of the nation’s inhabitants live in flats, bungalows or other single-storey dwellings. The rest of the population, many of them elderly people, live in homes with at least two storeys in which the upper floors are accessed by stairs. Furthermore, some seventy-six per cent of the UK population aged over sixty-five own their own home, most of them with a fully paid-up mortgage. Quite naturally the majority of these older people have a strong attachment to their current home and express reluctance towards any idea of moving elsewhere. This is not just a sentimental attachment but is part of a widespread human preference to remain in a place with which we are familiar, with our own possessions and close to the places and people we know best.Older home owners tend to live in larger properties than other people. This is particularly the case when you compare senior home owners and others such as young couples or families just starting out on the housing ladder. Just under seventy per cent of older home owners have at least two spare bedrooms. But having a home with enough space for family and friends to come to stay is an important consideration for many older people. On top of this retirement, for most people, means that they will spend more time at home, so most older people appreciate having somewhere comfortable in which to live. Many of the houses older people live in, however, present very real problems if they are experiencing the onset of mobility difficulties as a result of age. People in this category can often cope very well with moving about on the ground floor of their home, but struggle with getting up and down the stairs. The difficulty with this is that, in the average house, the bedrooms and bathroom are on the upper floor. Moving to a bungalow or an apartment with lift access may be one answer, but this is a solution that is unlikely to appeal to a significantly large proportion of older people: those who wish to remain in the familiar surroundings of their own house. What is more, the supply of bungalows and assistive retirement apartments is limited and is unlikely to keep pace with increasing demand. Although Britain has 530,000 dwellings specifically designed for the needs of older people, most of these homes are in the social housing sector, with very few available for purchase or private rental. A stair lift is a motorised device which is designed to convey a person with mobility limitations up and down a staircase. Where necessary the stair lift can also be configured to carry a wheelchair. Stair lifts operate mechanically and, in most cases, are fitted to the stair treads and not to the wall. When fitted to a straight staircase a stair lift is a fairly straightforward device; they get a little more complicated when they have to be fitted to a stairs with a curve. The majority of stair lifts are powered by rechargeable batteries, though some operate directly from the mains. Battery-powered stair lifts recharge automatically and those running off the mains generally have a battery back-up in case of power cuts. A stair lift is suitable for people with a variety of medical conditions: it can help with the limitations caused by any form of illness or infirmity which results in reduced strength and flexibility. People who have lived with such conditions for several years often find that a stair lift can transform their life; it enables them to access all parts of their home and restores a significant degree of independence. In terms of knowing what kind of adaptation is right for you, all local authorities employ occupational therapists who can advise older people who are considering installing a stair lift on the type of arrangement that would suit him or her best. People with progressive medical conditions who are thinking about purchasing a stair lift will obviously take into account their needs as they are now, but should also take advice on their needs as they may be in the future when it is possible their symptoms will gradually worsen. Some homes, such as those with an especially narrow staircase, are unsuitable for the installation of a stair lift. It is also essential to check that other members of the household and visitors can also safely use the stairs once a stair lift has been installed. Individuals who are extremely overweight will need to check the loading capacity of any chair lift they are considering. However, in the vast majority of cases a stair lift can be configured to suit the needs of an individual and his or her home. It takes no more than half a day to install a stair lift and the engineer will brief you on the procedure for operating it before leaving. There will be only minimal mess when the work is completed and in most cases you will not need to redecorate or replace your stair covering afterwards. Modern stair lifts are also very energy-efficient and should not have a major impact on your electricity bill. The first question, when choosing a stair lift to meet your particular needs, is whether you need to travel in the sitting position or standing. People who have trouble in bending their knees may find it easier to ‘perch’ on a stair lift rather than having to bend awkwardly to sit down. For those who prefer to sit, however, a swivel seat may make access easier, as will a folding footplate. You should also check, particularly if you intend to travel in the standing position, that your home has sufficient head-room available for when you are being transported up and down the stairs. Another consideration is how well the controls meet your particular needs. It is, therefore, important to take into account how easy they are to reach and whether they are appropriate for any limitations you may have on your degree of manual dexterity. Safety sensors and a lockable on/off switch are other essential features you should check are present in any stair lift you choose. Some people who have never used a stair lift before worry about feeling vulnerable if the lift moves too quickly. All modern lifts, however, are designed to give a soft, slow ride with no sensation of speed. Where the stair lift is intended to be operated by your carer it is important to ensure the controls are located in a position where he or she can access them; this arrangement should include a call button to return the lift to the required floor. If you have a visual impairment as well as your difficulty with mobility you should select a stair lift with an auditory signal which notifies you when the lift has reached the top or the bottom of its track. As well as meeting your priorities as the user, modern stair lifts are designed to fit in with the needs of other members of your household. The track is fitted as close to the wall as possible and the seat and foot-plate are often foldable to allow other people to comfortably continue using the stairs. Some stair lifts even offer a choice of seat and track colour to blend with the decoration of your home. What are the Different Types of Stair Lifts? Straight stair lift – As the name implies, a straight stair lift is the type that should be installed in a home with one or more straight flights of stairs. This is the most straightforward type of design. The complete set-up will include a chair and footplate and all the necessary controls and safety features. Curved stair lift – Many homes, however, have a curve or turn in the staircase. The curved stair lift has been adapted to cope with this configuration and includes all the operating and safety features of the straight version. Perch stair lift – As we have discussed, some people find it difficult to bend sufficiently to access the seat on a standard stair lift. To meet the needs of such people a perch stair lift would be the appropriate choice. The user will stand or ‘perch’ on the platform and the controls are sited to be within reach from this position. This type of lift has the added advantage of generally being slightly narrower than the seated version, which makes it particularly suitable for a home with a narrow staircase. It is important, of course, to ensure your staircase has sufficient head-room to allow you travel in the standing position. Outside stair lift – An exterior stair lift is very similar in design to its indoor equivalent. However, it is specially constructed to be sufficiently weather-proof and durable for outdoor use. This is the appropriate stair lift to use should the entrance to your home include a flight of steps or if you have to negotiate steps to reach your patio or garden. Spiral and tight stair lift – These are designed for the narrowest of stairs and in some cases can even cope with a spiral staircase. Refurbished stair lift – a refurbished stair lift is often the most cost effective solution. You can choose the version that best suits your needs for a lot cheaper than buying new. Make sure you choose a company who will cover the item with a full warranty. A stair lift can be an expensive item to purchase and have installed; a new set-up can cost anything between eighteen hundred and six thousand pounds. A refurbished lift can be bought from StayHome for about £1,200. However, a substantial investment like this has to be weighed up against the potentially life-changing benefits it offers to its user. A stair lift gives its user easy access to all parts of his or her home. With the greater degree of independence a stair lift provides many users experience an increase in their sense of well-being and a positive impact on their all-round health. Whenever you are considering buying a stair lift it is important to shop around to ensure you get the best deal available. You should be prepared to get a number of quotes from a variety of both suppliers and manufacturers and then weigh up the relative merits of each. Installation costs will vary from company to company, which means you should look beyond the headline price and ask for a full cost breakdown. You should make sure you ask about warranty, their after-sales service, breakdown options and any other question particular to your circumstances. It is also worth enquiring with your local authority whether they offer any assistance with the cost of a stair lift. Finally, you should investigate whether, because of your health condition or disability, you qualify for a VAT exemption on any item you purchase to make your home more accessible. A second hand, reconditioned stair lift will be a considerably cheaper option than buying new. You can buy straight or curved lifts that our reconditioned – in the case of curved, a rail is made to measure for your home. Is there any Financial Assistance Available for Buying a Stair Lift? Councils in England, Wales and Northern Ireland operate a scheme called the Disabled Facilities Grant. A separate but similar grant is available in Scotland. Under the scheme eligible applicants can receive financial help with adaptations to their home, including the installation of a stair lift. Intend to remain in the property for at least five years. Grants are available both to people who own their own home and to those who rent. If planning permission or building regulations checks are necessary this is the responsibility of the applicant. The maximum total grant for home adaptations in England is £30,000 while in Wales it is £36,000 and in Northern Ireland £25,000. Be aware though that obtaining a decision on a grant application can take up to six months. In Scotland assistance with adaptations to the home, including stair lifts, is provided under the provisions of the Housing (Scotland) Act 2006. As in the rest of the UK an assessment is made to confirm that the stair lift is necessary and the authorities will have to means test the applicant’s ability to pay for him or herself. Applicants who qualify can receive up one hundred per cent of their costs. How Long do Stair Lifts Last? A stair lift can be expected to last at least ten years and, with care, much longer. Generally speaking a new lift will last longer than the average reconditioned one but, ultimately, the equipment’s durability depends upon its frequency of use. The life of your stair lift will also be extended by regular maintenance. There are a number of signs that your stair lift may not be operating correctly. One of these is excessive noise. Most stair lifts these days operate off direct current and will travel with minimal noise. Anything in excess of this may be a sign of a problem. Similarly, a beeping sound when you travel in the lift could be a sign that the equipment needs a service. Should you experience a juddering or a reluctance to start when you operate your lift it could be a sign of a problem with the motor or, in some cases, a leaking battery. A stair lift, then, offers a significant number of older people a crucial means towards maintaining their independence. Many people in their senior years find they are able to get about most of their own home with relative ease, but struggle with negotiating the stairs. As we have discussed, most older people are reluctant to move into sheltered accommodation or residential care unless it becomes an absolute necessity. A stair lift is one way of postponing the need to leave one’s home. In doing so it helps older people enjoy the quality of life they aspire to. Of course a stair lift may be a significant financial investment for most of us, but its benefits can be life-changing. Despite its potential to change its user’s life, a stair lift is based on simple, straightforward technology. In terms of structural changes to your home and any upheaval or disruption the effects of having a stair lift installed in your home are minimal. Furthermore, should your needs change, or should you wish to move to other accommodation, removing a stair lift is a relatively simple process. Rica – Consumer research for older and disabled people – Which stairlift suits you and your home? Rica – Consumer research for older and disabled people – How much will a stairlift cost? Stannah is a leading stairlift company and the UK’s largest independent lift services company. Need help going up and down stairs? Find out how easy it is to get a stairlift installed in your home with Age UK Stairlifts. If you have difficulty getting up and down the stairs you are not alone. Handicare’s stairlifts offer a safe and reliable way of overcoming the problem of getting up and down the stairs. Free Stairlift Quote & Survey From Acorn Stairlifts World Leading Manufacturer of Stair lifts. Stairlifts at an affordable price with free quotation and next day fitting on some models from Easystep Stairlifts. Located in the UK, Platinum Stairlifts supply high quality stairlifts. Every stairlift is custom built to the needs of the user and their home. Bespoke Stairlifts specialise in stairlifts for curved staircases and are able to custom build a solution to suit, however complicated, to the highest standards. Advanced Stair Lifts offer a wide range of stairlifts and mobility solutions from selected manufacturers, Advanced delivers cost-effective solutions for the home and business. 1st Choice Stairlifts supply, install, service and repair straight stairlifts, curved stairlifts, rental stair lifts, bath lifts, wheelchair lifts. Newcastle-based Dolphin Stairlifts North East is an approved supplier of quality mobility equipment for the less able. Established in Lincolnshire family business. Stairlifts to suit any staircase and budget 365 call-out. 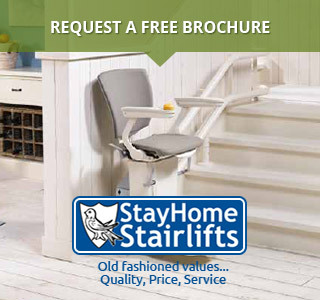 Visit our stairlift showroom. Free assessment. Stairlifts supplied & fitted from £800 – TEL 0800 032 9972 – they install, repair and service Stair Lifts in all South East areas. Abbey Stair lifts have been supplying and installing access products to private customers, local authorities, housing associations and others for over 10 years. Installing & servicing stairlifts since 1973. A Brooks Stairlift is the perfect solution to difficulty with stairs. Enquire today for a hassle free quote. Reconditioned Stairlifts: A Low cost alternative to New Straight Stairlift. Wide selection of reconditioned stairlifts available. Stairlifts for Norfolk. Reconditioned stairlifts supplied and fitted from £795 – 0800 0015444. Assured Stairlifts supply and fit reconditioned used and new stairlifts. Stairlifts suppliers in the UK. Companion stairlifts provide nationwide mobility products throughout the UK – No1 for quality and affordable stair lifts. Somerset stair lifts are one of the leading Independent Stairlift specialists in the West Country with qualified, experienced Engineers and CRB checked staff. “Do you find it difficult to get up the stairs? MediTek Stairlifts Ltd provide assistive technologies for the elderly, infirm and those with a disability. Stairlifts from the UK supplier of new and used stairlift installations. Browse, buy and rent online. Get in touch today for a free quotation. Whether you’re looking for a straight, curved, new or reconditioned stairlift we have a product to suit your needs. Freedom Stairlifts Limited is an easy to use free stairlift quotation service giving information on straight, curved, outdoor and reconditioned stairlifts. CCS are a long established chairlift company that has earned and deserved it’s trust. It’s also a family business that cares, having installed lifts for their families. At South Wales Stairlifts we supply, install, service and repair all major brands of stairlift in the Cardiff, Newport, Swansea, Bridgend, Neath, Vale of Glamorgan and all of South Wales. Kudos Stair Lifts pride themselves on building a reputation of integrity at every level of our business, not just with products and price but with the level of aftercare and support that we give to their customers. Home of the UK’s largest stairlift showroom offering your perfect mobility lifting solution. Based in Gloucestershire, Stroud Stair Lifts install straight and curved stairlifts throughout the South West region. MTI Stairlifts, based in Andover, provide a sales and hire service for disabled access equipment such as lifts, ramps and hoists. Avon Stairlifts is a family run business based in Portishead Bristol. We specialise in quality reconditioned and new stairlifts. Improve access around your home with a stairlift from ThyssenKrupp Encasa. We have lifts suited to all types of staircase. Enquire now for a free quotation. Essex Stairlifts are a small family firm who pride ourselves on our level of service. They aim to provide our customers with quality stairlifts at reasonable prices. Stairlift Solutions offer a unique facility which enables disabled and infirm people to have the advantage of having a stairlift on hire, rather than the expense involved in purchase. Whether you have a straight staircase, a curved staircase, or a staircase with multiple curves and straights; here at Eden Mobility we have the right stairlift for you. Installing Stairlifts throughout Cheshire and the North West. Cheshire Stairlifts your local family run stairlift business. Stairlifts from £1,200. Family run British home stairlift company in the UK. Free extensive brochure. Free home assessment or quote by telephone.